“Terrorism is a threat to us all, we must also combat it wherever it is, whatever is its banner, and whatever are its means,” said on June 29, 2018, Archbishop Bernardito Auza, Permanent Observer of the Holy See at the United Nations in New York, at the high level Conference on the fight against terrorism. The Holy See’s representative pleaded for the prevention of radicalization, implicating civil societies. “A good part of the success or failure of anti-terrorist strategies rests on local capacities and initiatives. Anti-terrorist efforts should involve the local populations,” in order to prevent the radicalization of young people. 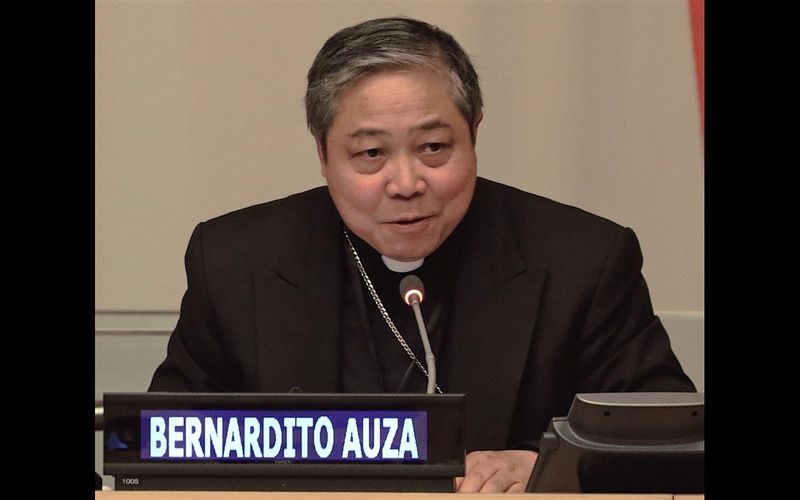 “The respect of the right to assemble and of freedom of expression is vital to defeat violent extremism, because the freedom to direct expressions of protest and grief through democratic processes can do much to calm impulses to violence,” continued Archbishop Auza. “The Holy See engages actively with the leaders of other religions and their faith communities to prevent incitements to all forms of radicalization and violence, encouraging and intensifying a sincere inter-religious and inter-cultural dialogue and cooperation,” he concluded.